The BEST tradesmen deserve the BEST benefits. Work hard, play hard with the benefit of being able to take time off without your paycheck taking a hit! Accrue up to 10 paid days off per year with X3’s paid time off benefit (restrictions apply). Enjoy the holidays with your family and friends with the benefit of paid holidays! Earn up to 6 paid holidays per year which include New Years Day, Memorial Day, Labor Day, Independence Day, Thanksgiving, and Christmas (restrictions apply). Prepare for the future by taking advantage of X3’s 401K retirement plan! X3 will match your contribution (up to 4%) so you can get excited for the days ahead (restrictions apply). Enhance your trade knowledge and skills by taking advantage of our tuition reimbursement benefit! Receive up to $800/year in tuition reimbursement for your specific trade (restrictions apply). Make sure you are covered by great health insurance by taking advantage of the same insurance as the X3 office staff! That’s not all, X3 even pays 50% of your monthly premium to make sure you are covered (restrictions apply)! Smiles can be expensive! Ensure that you have great coverage to keep your pearly white smile shining with X3’s dental insurance benefit (restrictions apply). Glasses, contacts, or other eye concerns? X3 has you covered with a great vision insurance benefit to ensure that your eyes are well taken care of (restrictions apply)! We understand the importance of financial protection and our talent can take advantage of X3’s complimentary $10,000 Life Insurance/Accidental Death & Dismemberment policy provided to talent free of charge (restrictions apply)! Benefit restrictions apply. For additional information on X3’s benefits, please contact us. After working 160 hours with X3 you will be eligible for health/medical, dental, and vision insurance, life insurance, 401K retirement plan with employer match, and paid holidays (4 days per year). After working 500 hours with X3 you will be eligible for tuition reimbursement, employee appreciation lunches/parties, and free safety trainings and awards. After working 1,000 hours with X3 you will receive your first paid day off. You will then be eligible to accrue 1 paid day off every 400 hours worked (totaling 5 paid days off per year in addition to 4 paid holidays after 30 days). After working 2,000 hours with X3 you will be eligible for 2 additional paid holidays (totaling 6 paid holidays per year) and a X3 Carhartt vest. After working 4,000 hours with X3 you will be eligible to receive a paid day off every 200 hours worked (totaling 10 paid days off per year in addition to 6 paid holidays after 1 year) and a X3 Carhartt jacket. X3 loves rewarding hard work and loyalty which is why we have the ability to retain the industries top talent. 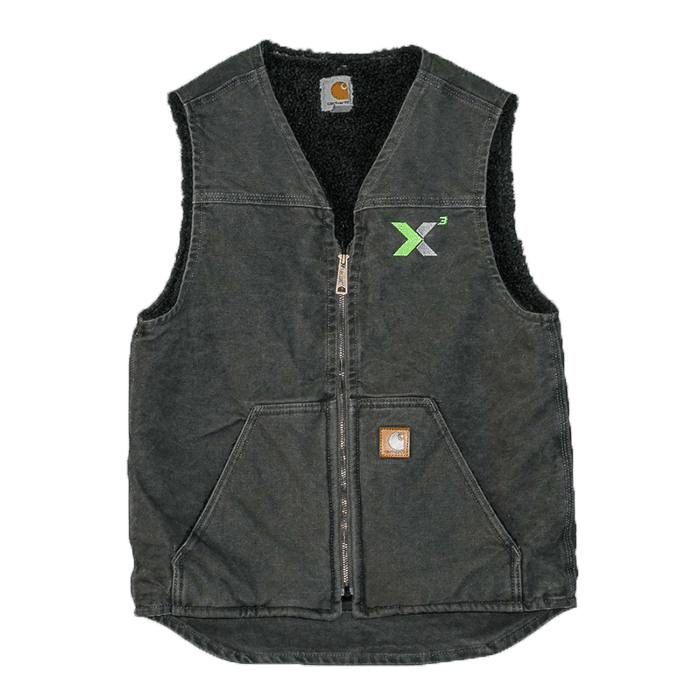 After working 2,000 hours (~1 year) with X3, tradesmen are eligible to receive a custom Carhartt vest. 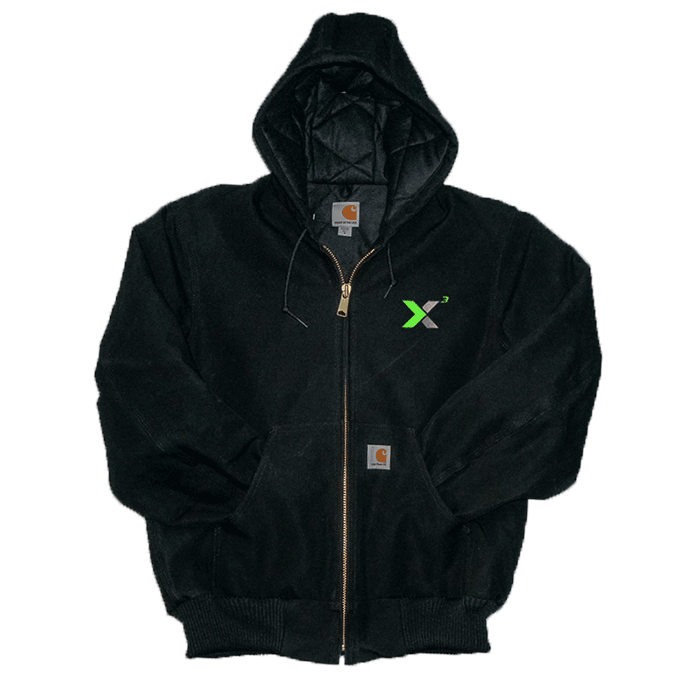 After working 4,000 hours (~2 years) with X3, tradesmen are eligible to receive a custom Carhartt jacket. 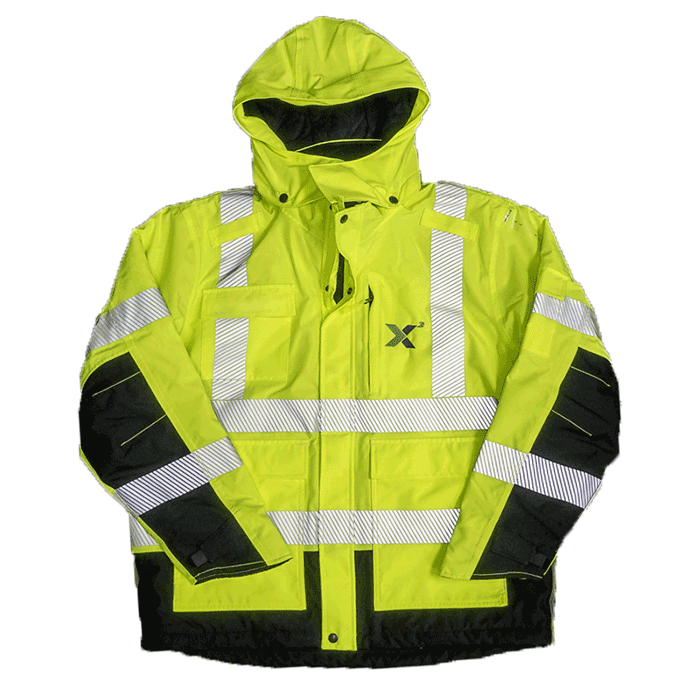 After working 6,000 hours (~3 years) with X3, tradesmen are eligible to receive a custom high visibility Carhartt jacket.